Strat/Assess dashboard software - Stratecution B.V.
All you need for a strategic business discussion on just 1 A4 ! 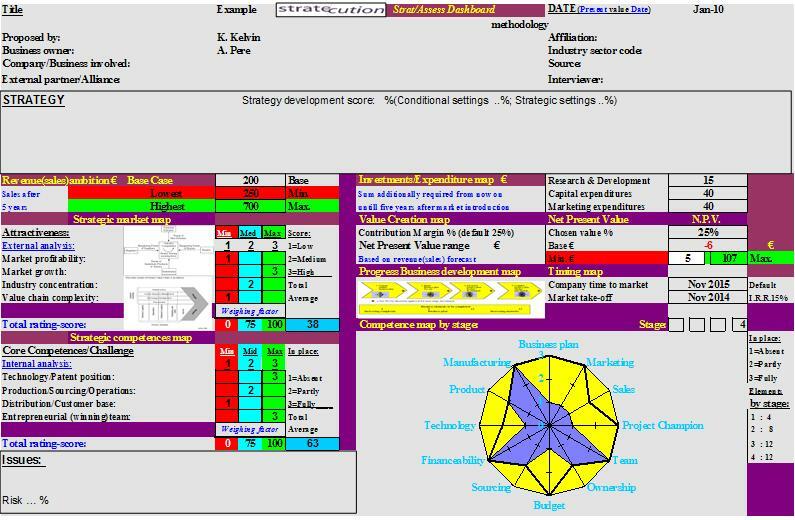 in a unique one A4 business management summary as an entrepreneurial business risk scan. and acts as a portfolio assessment summary.